Dear friends, we have several king size beds, queen beds, single and double beds available. Unlike other hotels we still have some of the smoking rooms available on first come first serve basis. Our prices are changing every season and we would advise you to contact us directly to get the best available rate. Hotel Features The single-story America's Best Value Inn is 22-Guest charming, quaint, newly remodeled is positioned on one of the picturesque hills of the Appalachian Mountains. Our Guest rooms offer luxurious amenities that include cable TV, complimentary Wi-Fi, alarm clocks, irons, ironing boards and work desks. Some rooms are non-smoking, and pets are permitted. 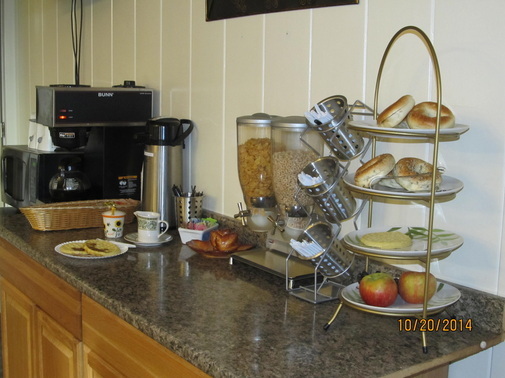 The hotel serves a complimentary continental breakfast in the lobby each morning. As for relaxation, guests have access to the on-site picnic area and barbecue grill. There's also a photocopy center on the premises. Parking is free. The hotel allows pets for a separate charge. Americas Best Value is in Hancock, MD is located five miles from both West Virginia and Pennsylvania at the narrowest point of Maryland . The Potomac River is two miles away, Antietam Battlefield is 15 miles from the property, and the Hagerstown Prime Outlets are 30 miles away. Baltimore/Washington International Thurgood Marshall Airport is 103 miles from the hotel.